Spring, Texas – January 9th, 2018: The Montgomery County Constable Office, Precinct 3 has arrested a softball coach for sexually assaulting children and students in Montgomery County. Juan “Manny” Corona, known to kids as “Coach Manny” has been coaching softball for over 17 years. 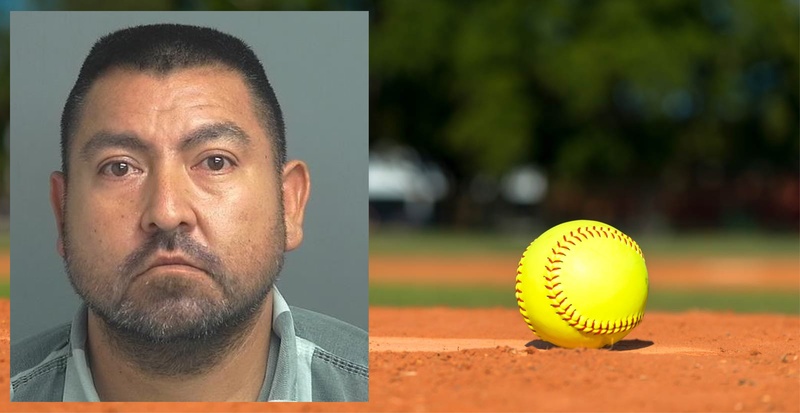 He spent the last 10 years coaching in Montgomery County, including providing private lessons at the South Montgomery County Softball League located off Pruitt Road. Mr. Corona had earned the trust of parents who even let him pick up their children from school and take them to such private lessons. This is most often when the assaults would occur. During the sexual assaults, Mr. Corona would make threats that something would happen to the students, including being thrown off of the team, if the child told anyone. The victim is 14, and due to restrictions as it relates to juveniles, the information is limited to what law enforcement will share. Over the last 10 years, Corona has been in contact with many children in Montgomery County. The Montgomery County Constable’s Office, Precinct 3 is reaching out to the public to find any other victims from his past. From working on similar cases, Montgomery County Constable’s Office Precinct 3 shared that it is very rare that they only target one child. Juan “Manny” Corona is a 44-year-old Hispanic male. He was booked into Montgomery County Jail on January 3rd after a warrant was served at his residence. He has been charged with three counts of Sexual assault of a child and has a $100,000 bond. Anyone having information on this case or any other victims please call the Montgomery County Constable’s Office, Precinct 3 at 281-364-4211 and speak to any of the Detectives.